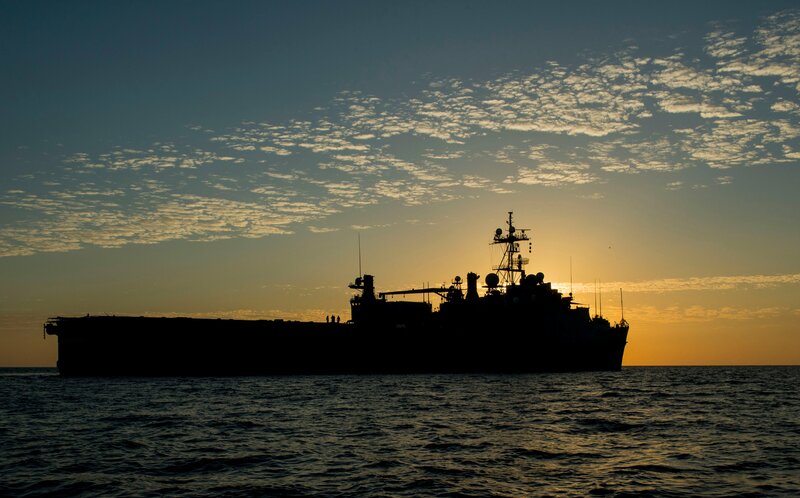 THE PENTAGON — Three U.S. warships are operating off the coast Yemen following a guided missile attack against a UAE operated ship by Houthi rebels, two U.S. defense officials confirmed to USNI News on Tuesday. 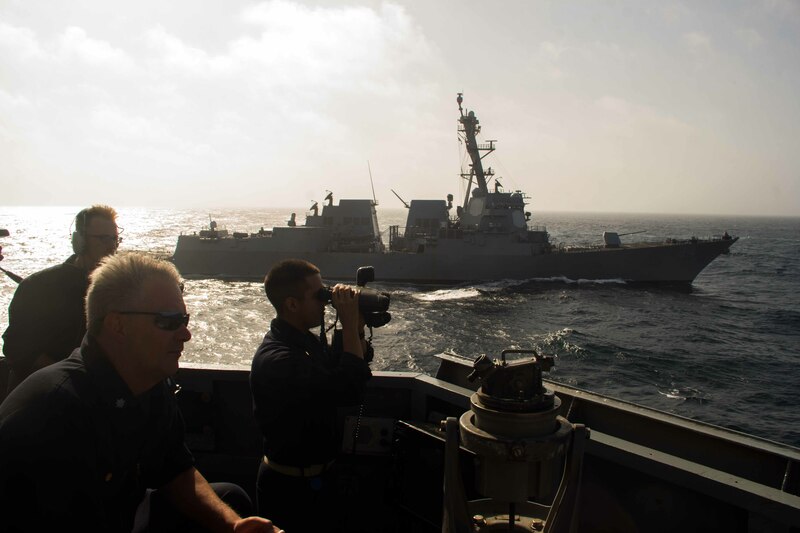 The ships – guided-missile destroyers USS Nitze (DDG-94), USS Mason (DDG-87) and the afloat forward staging base USS Ponce (AFSB(I)-15) – are on station off Yemen near the Bab el-Mandeb strait that links the Red Sea to the Gulf of Aden. The strait is a key transit route for ships passing from the Mediterranean through the Suez Canal into the Indian Ocean. The two guided missile destroyers are assigned to the Dwight D. Eisenhower carrier strike group operating in the region. The presence of the U.S. ships in the region was first reported by Fox News late Monday. An official told USNI News the move of the trio was prompted by the guided missile attack on the Saturday HSV Swift, a high-speed ferry that was once used by U.S. Military Sealift Command and leased to the UAE. U.S. officials told USNI News the ship was operating in international waters. “The attack is believed to be related to the ongoing conflict in Yemen and not an attack against general shipping. U.S. Naval Forces Central Command has ships in the area and is working closely with our allies and regional partners to ensure the free flow of commerce,” a separate defense official told USNI News on Tuesday. Houthi rebels, who claimed responsibility for the attack, released a video purporting to show a guided missile striking a ship at night and the eruption of a giant fireball. Reports indicate the weapons used could have been Chinese-built C-802 anti-ship missiles (NATO reporting name CSS-N-8 Saccade) or guided anti-tank weapons. In a statement, the Houthis said, “rockets targeted an Emirati warship as it approached the coast of Mokha” on the Red Sea, reported Al Jazeera. UAE officials said the ship was involved in an “incident” near the strait but said no one was injured. Iranian Press TV reported rebels warned the coalition if it sent a ship into “territorial waters” it would be attacked. Since last year a Saudi-led Arab coalition – which includes UAE – has fought against the Iran backed Shi’a Houthis in Yemen. Iran has been shipping weapons to the rebels since the start of the conflict. The weapon shipments have occasionally been intercepted by Saudi-allied forces heading into the country.